there is a problem with this interface - say you want to draw 2 cubes in one scene, but one of them rotated 45 deg retative to other. You will need 2 assistant with exact same on-canvas position, rotation, bounds - just in one of them "camera" is rotated, so vanishing point are in different places. WhaleKit added images: kritaPOV3.png, kritaPOV2.png, kritaPOV.png. WhaleKit added a project: Krita. 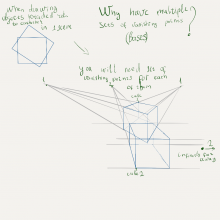 WhaleKit added a task: T6543: Make Krita better for more types of spatial projection. 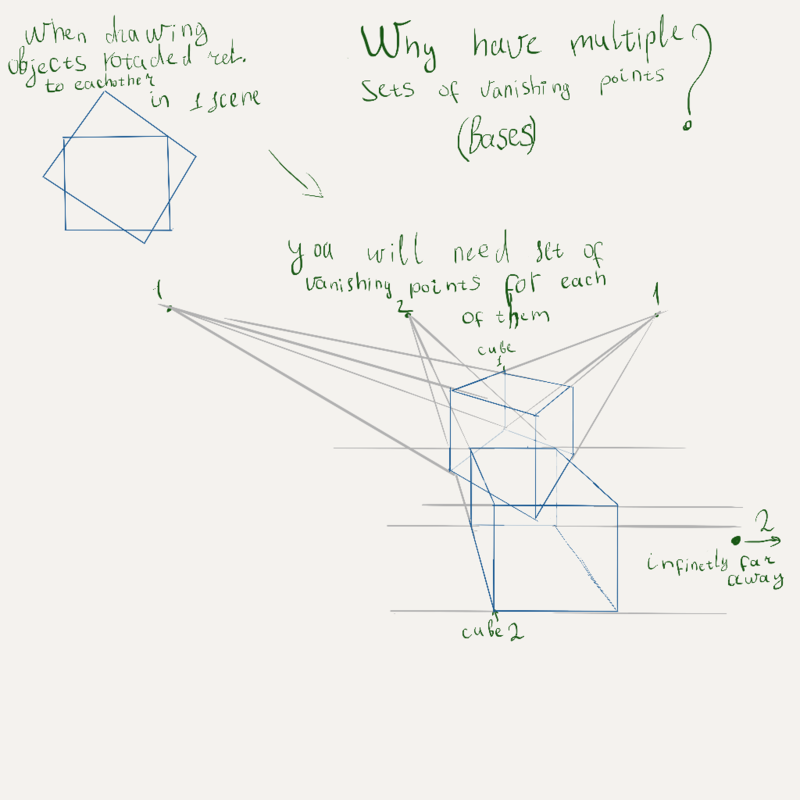 Brief explanation: it's a painting assistant that helps you draw in Panini projection. Panini projection is a projection that allows you to draw in wide angle without distortion. WhaleKit added images: 6.png, 5.png, 4.png, 1.png, concepts.png. WhaleKit replaced kritaPOV.png with kritaPOV.png. WhaleKit replaced kritaPOV2.png with kritaPOV2.png. WhaleKit replaced kritaPOV3.png with kritaPOV3.png. Also, I'm not sure how to make "adding rectangle to scene" interface. To define a rectangle, you need to choose 2 vanishing points from same basis and 2 diagonally opposite points of rectangle's corner. The mockup seems good overall. For the "..." part, that would probably go in the tool options as that is where those types of things go. Our assistant tools will probably need a bit of refactoring, as I don't think any of the other assistants have tool options. This is significantly more complex than the other assistants. If we start making the assistants have more options and things like layers, we might need to think about the assistant tool in general and how artists are currently using it. We might need to break it out into its own docker and have it be managed there. I remember that has came up before.